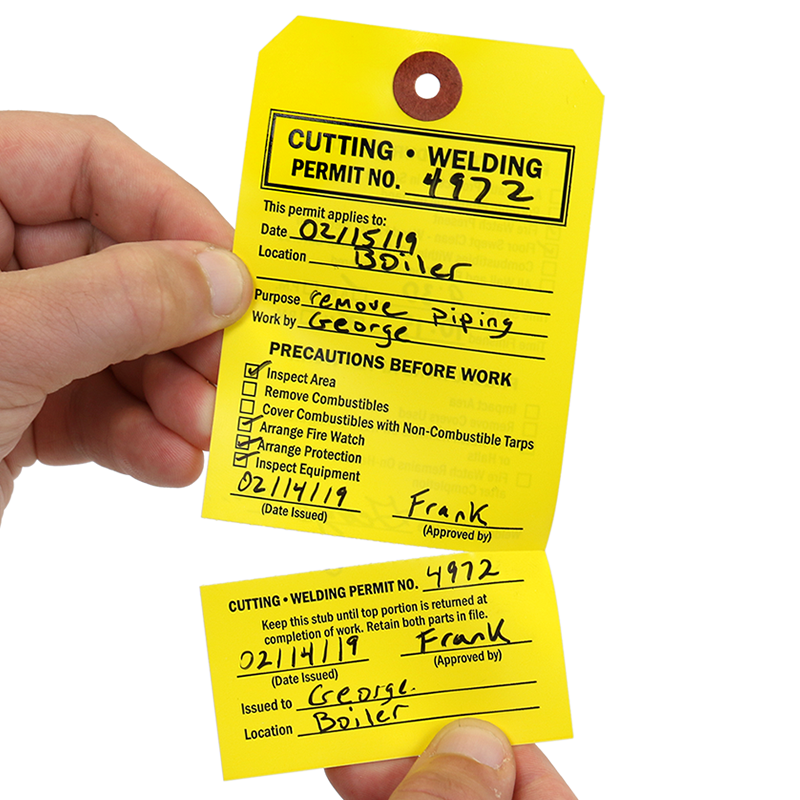 This Red Secure-Status Tag Holder is great for construction and welding industries. • Insert a different safety message by unlocking padlocks and lifting the frame. 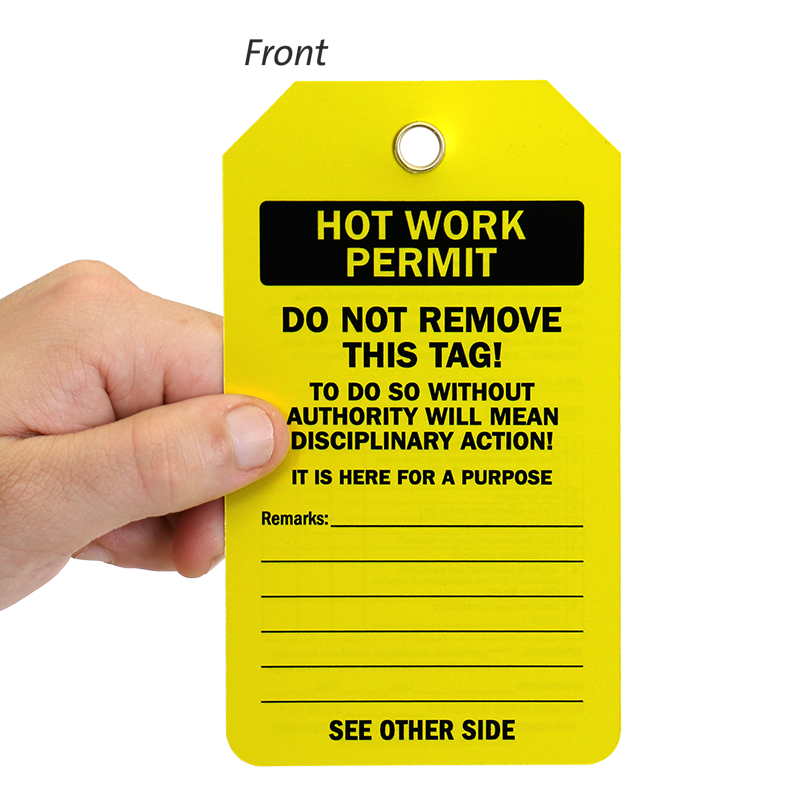 If no tag is inserted, there is a default 'Do Not Perform Hot Work Permit Required' message that is displayed. 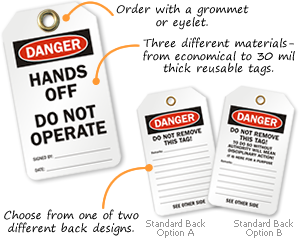 • Tag holder is designed with interlocking jaws that open up to fit over a post rail, pole, pipe, or door knob easily. 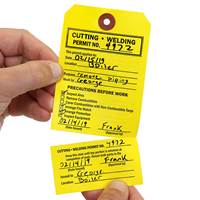 • Tag is visible through a 5 1/2" x 2 3/4" clear view front window. 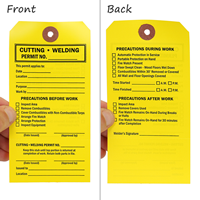 • Unique pry-proof, scissor design has plastic upper jaws and lower corners that interlock, keeping your tag safely secure. 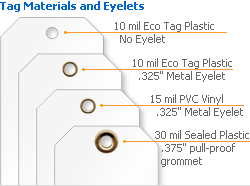 In addition, the holes at the bottom of the holder accomodate padlocks to prevent opening or unwanted access. 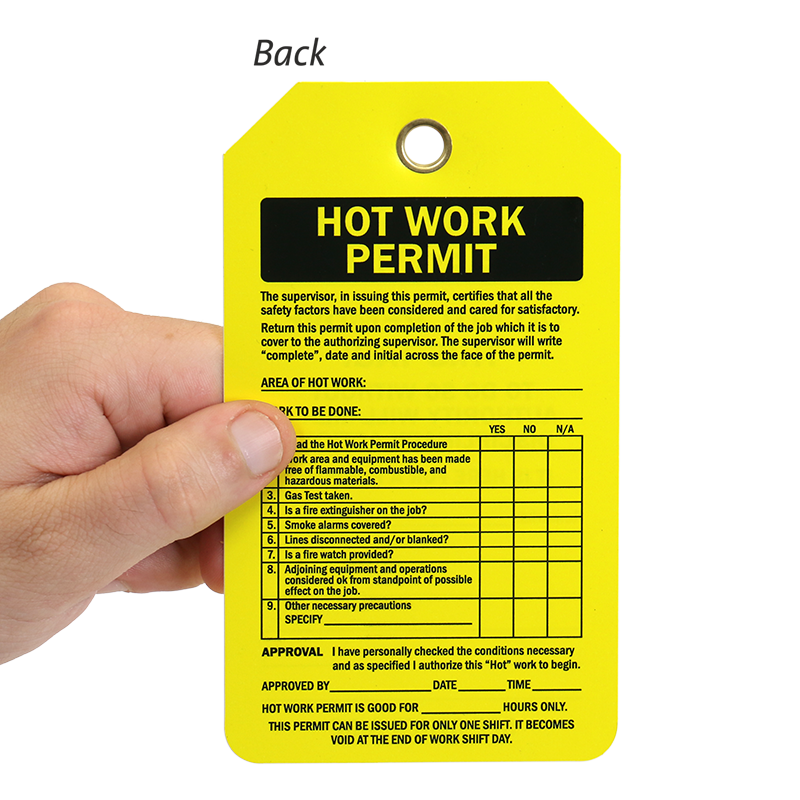 • From the inside, your tag is protected by a 5 1/2" (H) x 2 3/4" (W) clear view front window which prevents accessibility and hinders tampering. • Hinged upper jaws close to fit around post rails or poles up to 2 3/8" diameter. 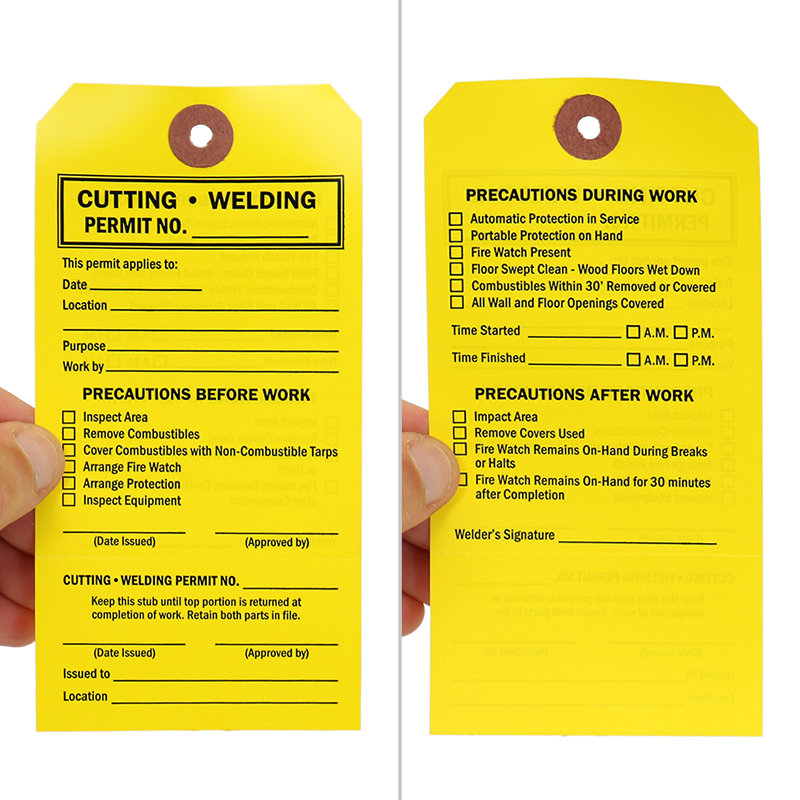 • Jaw ends can be slipped and closed through any 1/2" opening to safely lock out a device, meter or system. 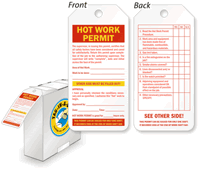 • Designed to fit any 5 7/8" (H) x 3 1/8" (W) size tag snugly. 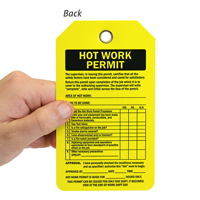 This product can expose you to Nickel Compounds, which is known to the State of California to cause cancer. For more information go to www.P65Warnings.ca.gov.